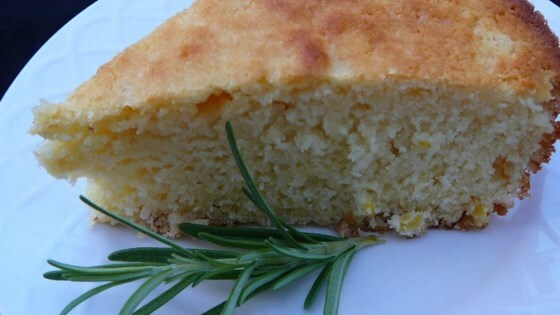 "Very moist and sweet cornbread, goes great with soups (especially bean soups)!" In a large mixing bowl, combine baking mix, sugar, baking powder and cornmeal. In a separate bowl, combine eggs, milk and melted butter; beat until creamy. Stir in flour mixture until well combined. Pour batter into prepared pan. Bake at 350 degrees F (175 degrees C) for 30 minutes, or until a toothpick inserted into the center of the bread comes out clean. Serve warm. Discover the trick to moist, sweet, and buttery cornbread. Tastes like cake. We enjoyed it. Hard to eat like normal cornbread because it's so crumbly. But it was great crumbled over chili. I do like more corn flaver in my cornbread! This was delicious. I've been looking for a sweet cornbread recipe. I was a bit unsure of what was meant by "buttermilk baking mix." Maybe pancake mix? I used Bisquick and it turned out fine. This was really good. Although I wasn't sure what was meant by buttermilk baking mix either.